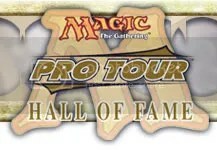 This entry was posted in Uncategorized and tagged 2012, ballot, chapin, damo da rosa, hall of fame, huey, jensen, kenji, magic, magic the gathering, masashi, mtg, mtghof, oiso, paulo vitor, pro tour, PVDDR, tsumura. Bookmark the permalink. Jace, Architect of Thought – Fact or Fiction?